Can't find an answer to a question you may have? Check out our FAQs below or contact us at anglos@speakinitaly.com or by getting in touch with us here. [fa icon="plus-square"] What is Speak? Speak is a company offering residential English language immersion programmes in Italy. We bring together native English speakers from around the world to immerse Italian learners in an environment of authentic English conversation. The Programme develops the language skills of speaking and listening without using ‘traditional’ language learning methodology i.e., no books, lessons or teachers. [fa icon="plus-square"] How is the day structured? Each day will contain a series of one-to-one sessions, each involving one Anglo and one Italian speaker, as well as a variety of group sessions. The day begins with breakfast and the conversation sessions are interspersed with lunch and free time with the sessions ending with dinner. After dinner there is optional social time which is typically light-hearted entertainment. [fa icon="plus-square"] Who are the Italian participants? The Italians joining the Speak Programme are individuals from a range of backgrounds who wish to develop their English communication skills, whether for work, developing their career opportunities, travel or simply out of personal interest. Our Italian leaners choose to come to Speak specifically to improve their competence in speaking and listening through natural conversations with native English speakers. [fa icon="plus-square"] Who are the Anglos? Anglos are mother-tongue English speakers from around the world. 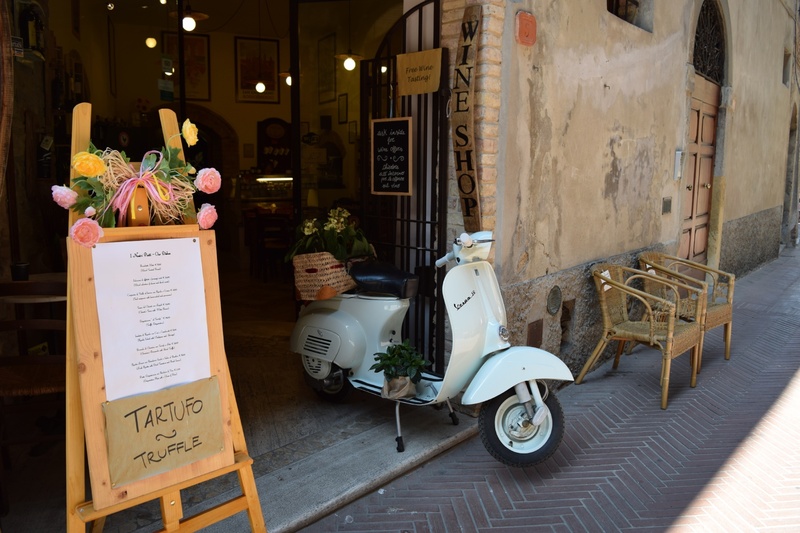 From all walks of life, Anglos come to Speak in order to help Italian leaners improve their English through simply engaging them in conversation while experiencing a taste of Italy and meeting new people. [fa icon="plus-square"] Are there lessons or teachers? There are no lessons, teachers or books. There are simply a variety of conversation sessions either in the form of one-to-ones or group discussions and activities. [fa icon="plus-square"] Shouldn’t students go abroad to improve their English? Going abroad to study in an English school, aside from the practical inconvenience involved, doesn’t necessarily reap the desired results. Studying in a language school in an English-speaking country often provides the same classroom-based study that learners can experience at home, with opportunities to actually practice the language just as limited. Excluding some minimal conversation at the airport or at the bar to order a coffee, the opportunities to improve fluency and engage in natural conversation are limited to chatting with fellow-students often faced with the same difficulties. [fa icon="plus-square"] Is there a minimum age to be considered for the Anglo role? The minimum age for applications from Anglos is 20 years of age. [fa icon="plus-square"] How many participants are there on the Speak Programme? There are typically between 20-30 people on a Speak Programme. Around half of this number will be Italian learners and the other half Anglos in addition to Speak staff. [fa icon="plus-square"] Can my children participate too? Unfortunately children cannot participate at our adult Speak Programmes. However, we also offer Speak Teens programmes! Visit our Speak Teens website or social media platforms to find out more! [fa icon="plus-square"] Can I bring my dog (or other pet) to Speak? Unfortunately not. While we at Speak are all animal lovers too, the nature of the Speak Programme and full immersion mean that dogs or other animals may cause distraction to both yourself and others. Please note that this does not apply to guide dogs of visually impaired participants. [fa icon="plus-square"] How can I apply? Please apply online using the tab on the top right of this page or by clicking here. Once we have received your completed application we will be in contact with you via email to acknowledge your application. Your application will then be processed and, if successful, we will contact you in order to offer you a place on one of our Programmes. Please be aware that while we will try our best to satisfy your choice of Programme, this may not always be possible depending on availability. Having arranged the Programme location and dates, we will send you our Anglo Agreement for you to sign. Please read the Agreement carefully before signing. When we have received your signed Anglo Agreement we will send you an official Confirmation Email and a link to our Pre-Arrival Information Pack. Please DO NOT make any travel arrangements prior to receiving this confirmation email. [fa icon="plus-square"] When do I have to arrive? You will need to arrive in the Meeting Point city (Milan, Turin, Florence or Bari) at least the day before the Programme begins to ensure that you make it in time for our Welcome Breakfast and the group transfer to the venue the next morning. Most Anglos choose to attend our optional Orientation Dinner or Aperitif on the evening before the Programme begins. We strongly recommend you attend and you would therefore need to arrive in the Meeting Point city (Milan, Turin, Florence or Bari) in the morning or early afternoon of the day before the Programme. Your return travel home or on to your next destination should not be booked for any earlier than 8pm on the final day of the Programme. [fa icon="plus-square"] What do I need to bring? Clothing: Participants should bring practical, comfortable clothes and footwear for the Programme. Our Speak venues provide towels and complimentary toiletries. Please note: While Italy is famous for its beautiful sunshine and warm weather, spring and autumn may also bring showers and cooler temperatures, especially in the evenings. Our Winter Programmes can be particularly cold and participants are thus advised to bring a suitable waterproof clothing and a heavy coat. Personal objects: Speak will provide all the materials necessary for the Programme. However, it can be useful to bring along some small items, such as photos, which may aid discussion. You are also welcome to bring a musical instrument or anything else which reflects your personality or culture! Medicine: Please bring any medicines that you would usually take in the case of minor ailments. If you are on prescription medication please be sure to bring it with you as you may be unable to access the exact same medicine locally. [fa icon="plus-square"] Can Speak help with the booking of hotels, flights or other tickets? Once your participation is confirmed, we will provide you with a Pre-arrival Information Pack including travel tips and suggestions for accommodation in the Meeting Point city. Please note however that Speak cannot make any travel or accommodation bookings on your behalf. [fa icon="plus-square"] What exactly does Speak provide? An invitation to an orientation dinner on the evening prior to the Programme in the Meeting Point city (Milan or Turin). The official welcome breakfast on the first day of the Programme in the Meeting Point city. Group coach transfer from the Meeting Point city on the first day of the Programme to the location. Welcome drinks on the first evening at the location. 3 nights accommodation and wonderful full-board dining in an exclusive location from breakfast on the first day of the Programme to lunch on the last day of the Programme. Group coach transfer from the location to the Departure Point city (Milan or Turin). An invitation to an orientation aperitif on the evening prior to the Programme in the Meeting Point city (Florence or Bari). Welcome drinks on arrival at the location. 7 nights accommodation and wonderful full-board dining in an exclusive location from breakfast on the first day of the Programme to lunch on the last day of the Programme. A cultural excursion including an experience during the trip to discover the best the local area has to offer. Group coach transfer from the location to the Departure Point city (Florence or Bari). [fa icon="plus-square"] What costs am I responsible for? Speak offers quality accommodation and full board in one of our locations for the exclusive use of Speak. You will need to cover the cost of any accommodation you book outside of the Programme dates. Speak offers a Group coach transfer from the Meeting Point city (Milan, Turin, Florence or Bari) on the first day of the Programme to the location as well as a Group coach transfer from the location to the same Departure Point city (Milan, Florence, Turin or Bari) on the final day of the Programme. You will need to cover the costs of your travel to and from the Meeting Point city before and after the Programme. Speak offers quality full board from breakfast on the first day of the Programme to lunch on the final day of the Programme. [fa icon="plus-square"] Do I need a visa to come to Italy? Anglos must be sure of their legal entitlement to be in Italy for the entire duration of the Programme. Our Anglos come from all over the world and therefore every case is different. While citizens of many countries do not need any kind of visa to enter Italy as a tourist (at least for a period of less than 90 days), Speak advises all Anglo participants to check the procedures required with the relevant authorities in your home country and your ability to meet the requirements necessary in order to enter Italy. [fa icon="plus-square"] Will I be covered by insurance during the Programme? You will be covered by Speak’s Public Liability Insurance (Unipol Sai) for the duration of your time at the Programme. However, we strongly recommend that Anglos take out private travel/baggage/medical insurance. [fa icon="plus-square"] When should I book my travel tickets? Please do not purchase your travel tickets or accommodation in your Meeting Point city (Milan, Turin, Florence or Bari) until we have confirmed your participation in the course and sent you our Confirmation email. Once your participation is confirmed, we will provide you with a Pre-arrival Information Pack including travel tips and suggestions for accommodation. Do not hesitate to contact us at anglos@speakinitaly.com should you require further assistance.